Laminated and hybrid glass systems are most typically made by bonding or joining together several structural components and materials. Their structural performance and safe design are, hence, related to the optimal combination of several parameters, including material properties and degradation, geometrical ratios, connections’ type and features, etc. Given the typical brittleness of glass as structural material, as well as its increasing use in building components for load-bearing assemblies, research studies aimed to ensure appropriate safety levels as well as to optimize novel design concepts have been carried out by several researchers in the last years (see for example [1, 2]). So far, various projects have been also focused on the structural assessment of novel combinations or assessment of materials under certain loading conditions [3-10], as well as on the load-bearing performance of glass assemblies and composite/hybrid systems [11-17]. 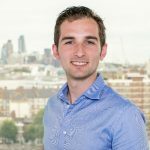 Different connection types have been also largely investigated [18-24], including mechanical, adhesive, and laminated solutions (see  for a state-of-the-art review). 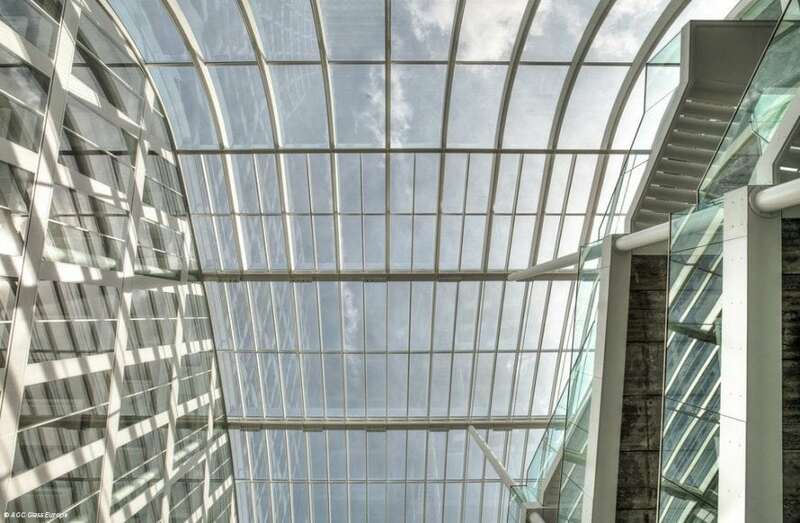 Structural glass beams are already widely used in design projects for roofs and floors, as well as vertical fins and stiffeners for facades and pavilions. The design concept of “embedded laminated connections” to join together multiple glass parts, in this research scenario, currently represents a still-novel solution requiring further investigations. 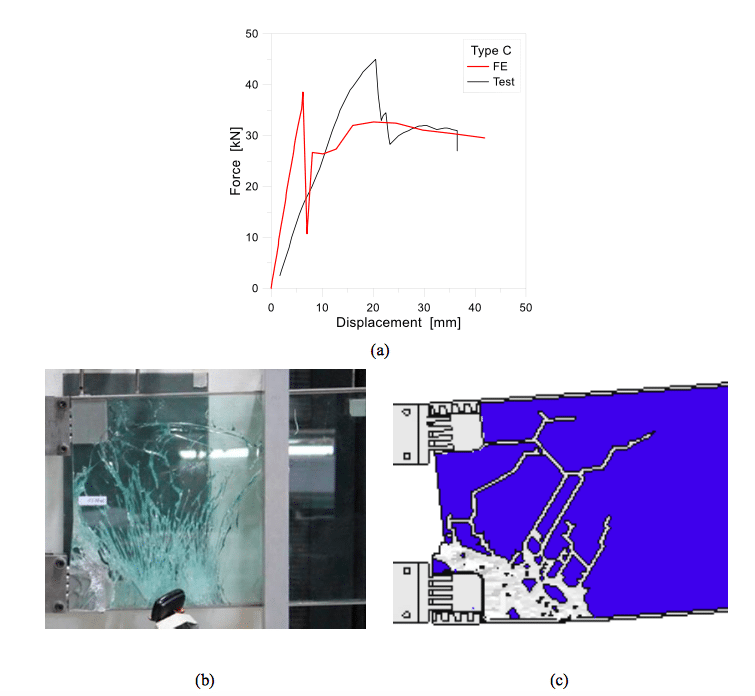 In this regards, the ongoing research study takes advantage from past experimental efforts  and is focused on the numerical assessment of the load bearing performance of full-scale laminated glass (LG) beams with thick embedded connections , see Figures 1-2. In accordance with [28-31], the structural interaction between multiple glass segments is offered by thick metal inserts, being embedded in the LG sections during the production stage. The overall bending response of such assemblies, given the same glass beam segments, is strictly related to the connection detailing, namely including the number, position, size, etc. of embedded connectors. In this regard, Finite Element numerical models able to properly capture their actual local and global behaviour can represent a robust support for time/cost-consuming, full-scale experimental investigations. 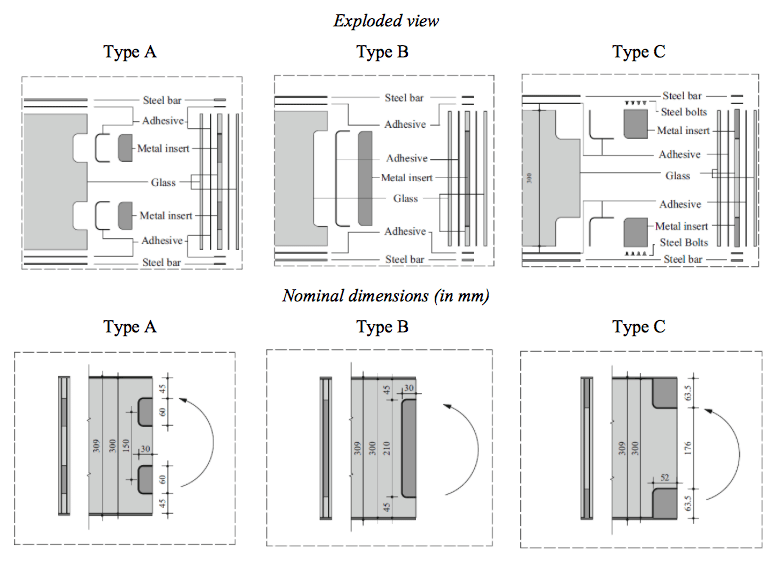 Refined FE models are hence presented for selected specimen configurations and validated towards four-point bending experimental tests carried out on LG beams with three different types of embedded connections and available in the literature. Three different types of thick embedded connections according to  are presented. Careful consideration is spent for the mechanical interaction between the beam components, including damage mechanisms initiation and propagation. In the typical FE model, the geometrical and mechanical properties of the reference specimens are in fact properly taken into account, so to explore both the elastic and post-cracked performance of the LG beams object of study under specific loading conditions. Comparative results are then critically discussed, giving evidence of major structural performances for the selected configurations (see Figures 3-4). Given the rather close correlation between past experiments and actual FE estimations, a concise parametric study is finally reported, so to emphasize the effect of some key influencing parameters of technical interest on the bending performance of the selected configurations. 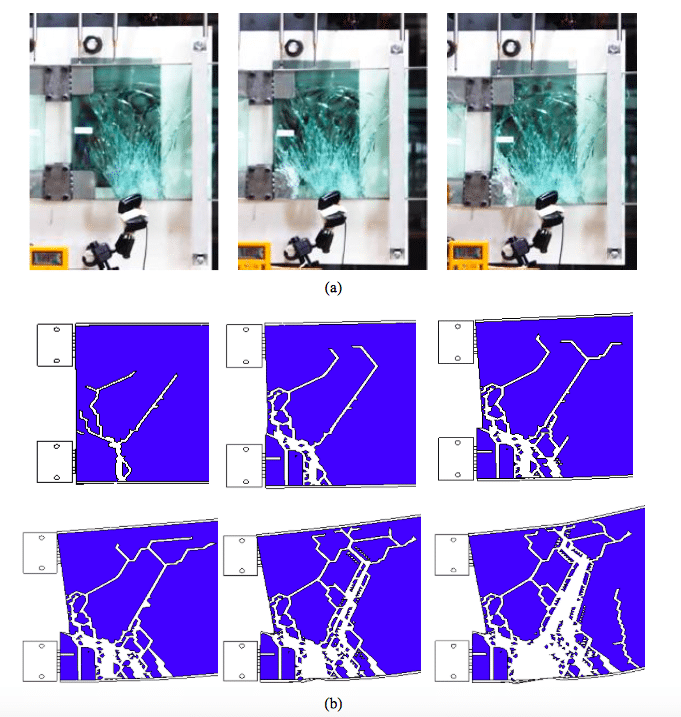 These findings are discussed in the article entitled, Laminated glass beams with thick embedded connections – Numerical analysis of full-scale specimens during cracking regime, recently published in the journal Composite Structures. This work was conducted by Chiara Bedon from the University of Trieste and Manuel Santarsiero from Eckersley O’Callaghan. Chiara Bedon is Assistant Professor at University of Trieste, Department of Engineering and Architecture, Italy, where she chairs the course of 'Structural Analysis'. Early Career Investigator (PhD degree in 2012), since 2009 she is involved in European projects and networks (JRC-ERNCIP, NATO-SPS, COST, etc.). In April 2017, she achieved the Italian National scientific qualification for the position of Associate Professor in Structural Engineering. With more than 180 peer-reviewed scientific publications, she collaborated with >70 international co-authors. Editor-in-Chief for the open access International Journal of Structural Glass and Advanced Materials Research, she joins several Editorial board committees for ISI international journals. Santarsiero is a Civil and Structural Engineer, PhD and Responsable de projets at Office Fédéral des Routes (OFROU).